Finally, the wait is over, Golmal Again trailer has release now, this is the fourth sequel film of Golmaal series. Rohit Shetty is back with this movie. The trailer is full of fun, comedy with madness. 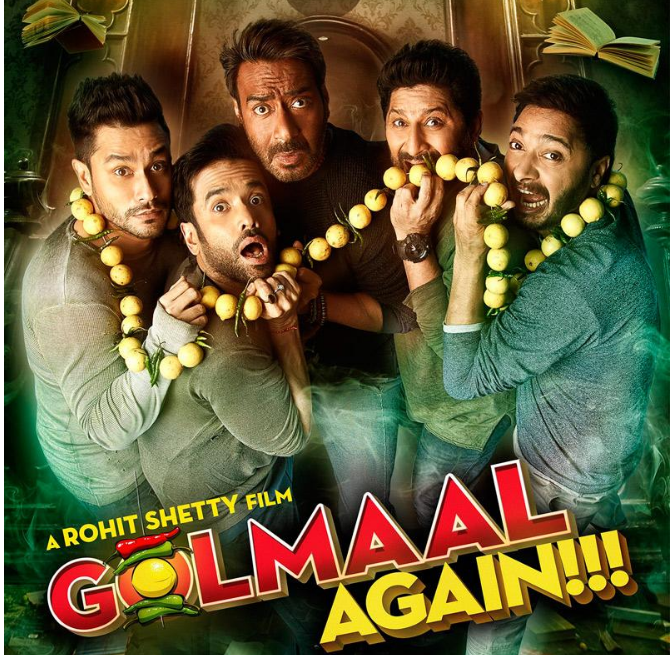 Every time golmaal series film has interesting story plot, this time, Golmaal Again has new interesting ghost angle to the film which makes it even more hilarious and funny. Ajay Devgn also doing some action scenes with comedy. Ajay Devgn, Arshad Warsi, Kunal Kemmu, Shreyas Talpade, and Tushar Kapoor are playing main lead role. Golmaal Again has been scheduled to release this Diwali i.e. on 19 October 2017.